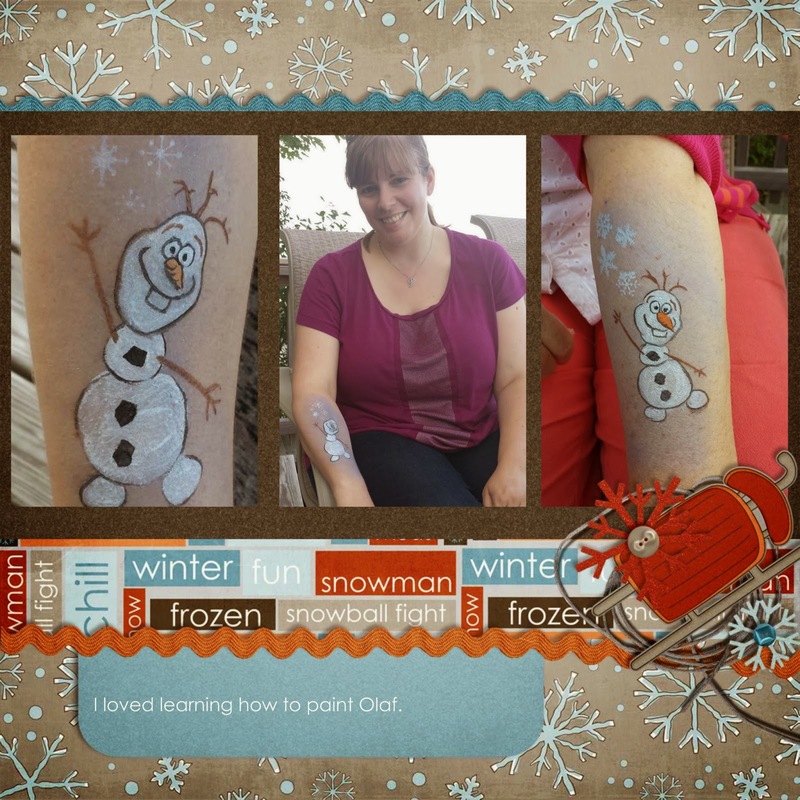 I had a request to face paint for a Frozen themed birthday party in August, so I was working on some new designs for it. My relations helped me out by letting me practice on them while visiting my aunt at her cottage on Skaneateles Lake. 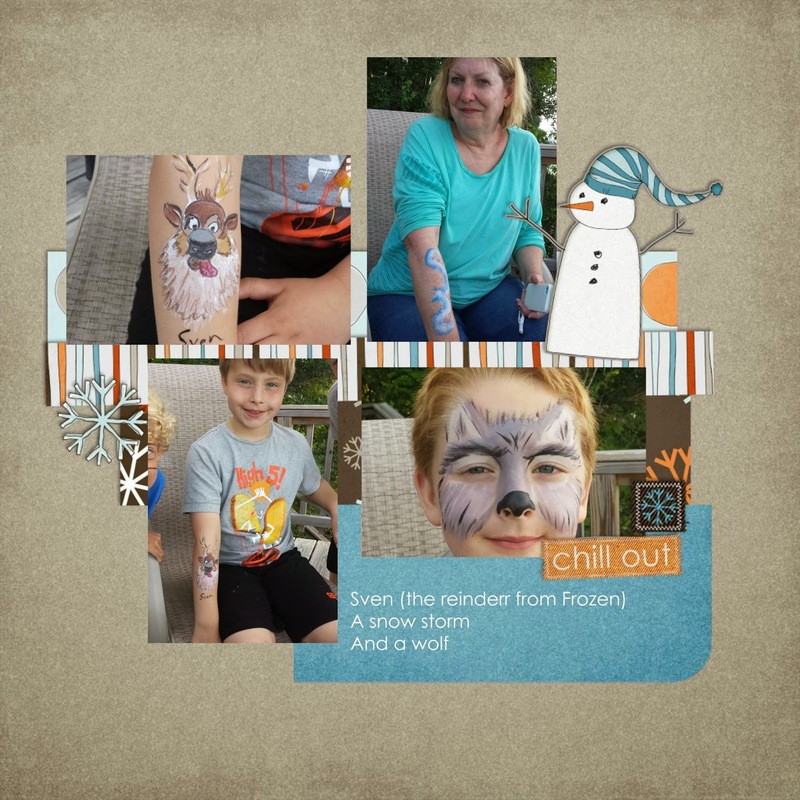 The scrapbook layouts are from Smilebox.